Hello Fatima, We're glad you received your Hogwarts letter via Owl Post. Please feel free to browse around and get to know the others. If you have any questions please don't hesitate to ask. Welcome to The Wizarding World | Harry Potter Fan Forum! What is a forum, and how to use it. (For Muggles) Welcome Muggle - PLEASE READ and START HERE! About Us: Why a Harry Potter Forum/Community? 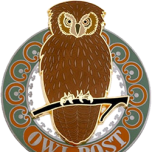 Hello Darkvampire07, We're glad you received your Hogwarts letter via Owl Post. Please feel free to browse around and get to know the others. If you have any questions please don't hesitate to ask. Welcome to The Wizarding World | Harry Potter Fan Forum! What is a forum, and how to use it. (For Muggles) Welcome Muggle - PLEASE READ and START HERE! About Us: Why a Harry Potter Forum/Community? Hello Crow56, We're glad you received your Hogwarts letter via Owl Post. Please feel free to browse around and get to know the others. If you have any questions please don't hesitate to ask. Welcome to The Wizarding World | Harry Potter Fan Forum! What is a forum, and how to use it. (For Muggles) Welcome Muggle - PLEASE READ and START HERE! About Us: Why a Harry Potter Forum/Community? Hello Dr.K, We're glad you received your Hogwarts letter via Owl Post. Please feel free to browse around and get to know the others. If you have any questions please don't hesitate to ask. Welcome to The Wizarding World | Harry Potter Fan Forum! What is a forum, and how to use it. (For Muggles) Welcome Muggle - PLEASE READ and START HERE! About Us: Why a Harry Potter Forum/Community? Hello Jahnavi Haloi 15, We're glad you received your Hogwarts letter via Owl Post. Please feel free to browse around and get to know the others. If you have any questions please don't hesitate to ask. Welcome to The Wizarding World | Harry Potter Fan Forum! What is a forum, and how to use it. (For Muggles) Welcome Muggle - PLEASE READ and START HERE! About Us: Why a Harry Potter Forum/Community? 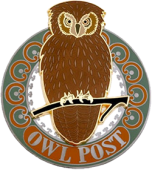 Hello Dari, We're glad you received your Hogwarts letter via Owl Post. Please feel free to browse around and get to know the others. If you have any questions please don't hesitate to ask. Welcome to The Wizarding World | Harry Potter Fan Forum! What is a forum, and how to use it. (For Muggles) Welcome Muggle - PLEASE READ and START HERE! About Us: Why a Harry Potter Forum/Community?